Brenda is an outdoor enthusiast, fitness instructor, and a loving mother. I ended a busy year with two days of classes at the Yehudi Menuhin School last week, teaching on the Overseas Masters Winter Piano Academy. I love giving these classes and have done so on several previous occasions (in 2012 and 2014; the academy runs every other year). Malaysian pianist Bobby Chen organises the whole event, which lasts 10 days and involves around 30 young Malaysian students (and a few from Singapore and Vietnam too), who have been selected and invited to participate in an amazing mélange of classes and events. These include individual piano lessons given in the form of open master classes (with many expert teachers), conducting, composition and improvisation classes, many concerts and lectures featuring visiting artists, sight-seeing trips to London and my contribution, which was to deliver piano technique, sight-reading and memorisation classes. All classes take place at the world-renowned school and the pupils stay on campus. The academy finishes with a concert in the beautiful concert hall, featuring every student. I thoroughly enjoy working with these pupils (some of whom are pictured with me above); they range in age from 9 years old to postgraduate music students, and are all Grade 8 level and beyond. 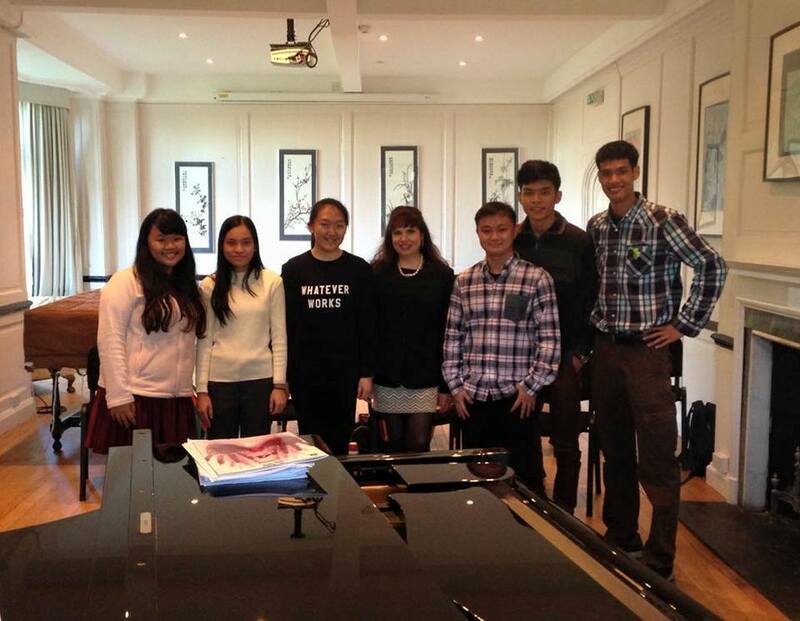 I offer several workshops for presentation at music educational institutions, but this particular one is, (piano technique, sight-reading and memorisation), is always the most popular. During the classes (I taught seven students per class, and four classes in all), a young Malaysian student, Jessica Cho, kindly gave me a recording of her own piano compositions (which also included works by three other leading Malaysian women composers; the CD compilation (entitled Interweaves) is apparently the first recording featuring entirely female Malaysian composers). I have a real interest in Twenty-first century music (particularly by women composers), and always like to highlight new work. On listening, the music made an impression and I felt this style, connecting Western and Eastern music, is one which resonates with me (and might interest anyone who enjoys Contemporary classical music). Brenda Barbera is a fitness instructor who also likes outdoor activities. She is taking care of her four children when she’s at home. She also likes baking cupcakes.